For a "safer" cigarette - Crafe Away effectively reduces your intake of Nicotine, Tar & other hazardous substances. Each Filter can be used for 5-10 cigarettes. Have used for many years,cuts down a lot of the rubbish from entering your body and does'nt stop you enjoying a cigarette at the same time. I think this is a good product have used for years,I just find them a bit costly as I use a lot of them,like anyone who has to buy them regularly. 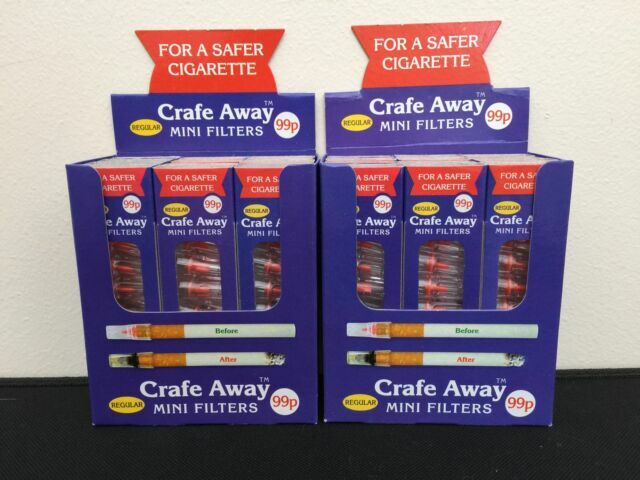 Crafe away filters are excellant for reducing the tar content of cigarrettes. I've been using these filters for years and even my Dr approves of them.